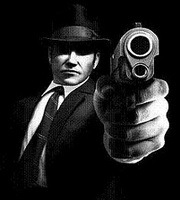 Mafiascene.com - View topic - Omerta: City of Gangsters. Posted: Mon Feb 25, 2013 12:46 am Post subject: Omerta: City of Gangsters. Has anyone else played this? I currently have been over the past month or so and I must say, it is very good. Anyone else got views on it? Posted: Mon Feb 25, 2013 1:28 pm Post subject: Re: Omerta: City of Gangsters. Posted: Sun Jan 19, 2014 2:54 pm Post subject: Omerta: City of Gangsters.